With Theresa May’s shock decision to call an early general election in just a few weeks time, Labour has to produce a manifesto in double quick time. In what ways might it differ from Ed Miliband’s radical – but ultimately unsuccessful – offering? Will it contain pledges to radically alter British politics, proving Jeremy Corbyn as the scourge of the establishment? Or will it showcase the ideas from his policy-rich offering in the first leadership contest? We take a look below. We can be confident an update of this Labour government measure will be front and centre in the manifesto – much like it was two years ago. I’ve written previously about the policy parallels between Miliband and Corbyn, and with the leader announcing this in his recess policy blitz, it’s a banker. Another policy where there are parallels with Miliband, but perhaps this time without the caveats. 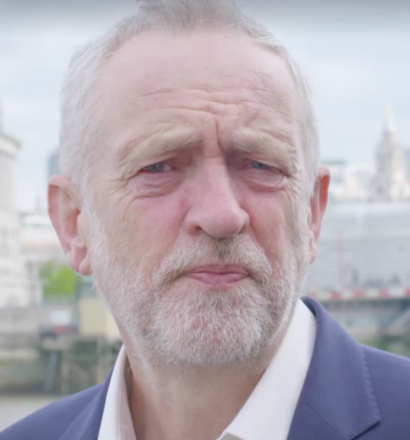 A pledge to return the railways to public ownership was one of Corbyn’s first policy announcements as leader and it is popular with the public. Miliband showed support for it in an interview with LabourList before the 2015 general election, although Labour’s offer last time around focussed on giving state-run companies a place in the bidding process. It is not a policy we’ve heard much about for a while, in the tumult of Brexit and snap elections, but it would be a surprise to see a manifesto committed to anything other than more free childcare and increasing early years provision. Tulip Siddiq, who was the shadow early years minister, quit the front bench over the article 50 vote, and the brief remains unfilled. In the last Labour manifesto, there was a guarantee of childcare for between 8am and 4pm, as well as for a new national primary childcare service. It seems probable will see something similar from Corbyn’s team. Here’s where we could see the cash being splashed. John McDonnell has previously spoken about borrowing £500bn to fund infrastructure projects and we can expect large pledges on areas such as road, rail and flood defences. On the Today programme interview earlier this week, McDonnell spoke about the need for the richer to pay their fair share, but would not be drawn on specifics. He seemed to suggest that those earning £70,000-£80,000 were “rich”, and it was not totally clear whether a higher rate of income tax might start there rather than at £150,000, as the 50p rate of tax used to be under the Labour government and as per Miliband’s manifesto. Foreign policy is perhaps where Corbyn is most distinct from previous Labour leaders, prime ministers – and perhaps parliamentarians generally. He has been a committed anti-war protester throughout his parliamentary career, and has been opposed to many interventions, including the Nato action to protect Kosovans, as well as notably the Iraq war. Expect a manifesto with this spelled out, and perhaps even to go further – where will the line be drawn on Nato membership, which Corbyn has previously opposed, and nuclear weapons? If Corbyn pushes for commitments to these things, it could cause a ruckus in the shadow cabinet and wider PLP. Announced in Easter recess, and funded by a plan to introduce VAT on private school fees, this will be pushed hard on the campaign trail – and will make for numerous excellent school-based photo opportunities. There are suggestions that this is popular with Britons, and let us hope it proves a vote winner. Given frequent attacks on the very wealthy hiding their earnings, in order to dodge taxation, there will a reform lined up to tackle the problem. A policy of publishing tax returns, particularly for big businesses, seems very likely with McDonnell announcing this as part of the recess policy blitz last week. We might even see some proposed earning caps, as has been mooted before by the Labour leader and his allies, which would be among the most controversial measures.